What are the best rheumatology fellowships in 2018? First of all, rheumatology specializes in the diagnostic, therapy, and treatment of numerous clinical problems including autoimmune diseases, tissue disorders, and other disorders of the human immune system. Let’s see the best 10 schools for a good rheumatology fellowship that our rheumatology fellowship personal statement service gathered. According to studies conducted in the past few years, there is a steady rise in the number of rheumatology fellowship programs offered by different universities and colleges. It seems that this is an indication that more and more people are becoming interested in the field of rheumatology and seek for rheumatology fellowship program application. In order to aid those people, this article will tackle about the best rheumatology fellowships program available in 2017. Children’s Hospital of Pittsburgh: One of the best in rheumatology fellowship, it offers a complete training program for educating the next pediatric rheumatologist. Enroll here if you want to become part of the best in rheumatology fellowship. Children’s Hospital of Pittsburgh provides a 3 year-comprehensive fellowship program. It is ACGME-accredited that enables fellows to have clinical and research training in the different aspects of rheumatology. Fellows get to have a wide range of benefits and annual salary depending on the level. They also have additional benefits including book and travel allowance, 3-week vacation and 1 week conference time per year. University of Washington in Seattle: It has a mission of providing excellent patient care, education and research for rheumatic diseases and arthritis and has an able staff composed of top faculty to handle the program. The Pediatric Rheumatology Fellow Program starts its application in August. Interviews will be help in September and October, 2018. The program aims to provide clinical training through service at the hospital, multidisciplinary experience and MSK-ultrasound training. The fellowship lasts 2 to 3 years. And every year, there are about 6-9 trainees. University of Southern California: One of the top raked medical centers and rheumatology fellowships, the school has a long tradition of providing quality healthcare and helping fellows become the best that they can be. The Rheumatology Fellowship Program offered by the University of Southern California aims to train fellows to be competent, caring, and intellectual as they continue with their medical practice. Fellows get to have a diverse experience as they work with University Hospital and Consultation Center, Rancho Los Amigos National Rehabilitation Center, Children’s Hospital of Los Angeles. On top of that, you also get to have unlimited research opportunities. The university starts processing applications in August. Interviews start in September, October 2018. Johns Hopkins University: This school is consistently one of the top rheumatology fellowship programs in the world. If you were looking to train with the best, check out application requirements and submit them on or before the deadline. Study at a top rating school like John Hopkins. The John Hopkins University offers a wide range of benefits. For one, fellows get to have health insurance include their dependents. Other benefits include the following: university health services, university mental health services, vision coverage, dental plan, long term disability insurance, life insurance and income deferral retirement plan to name a few. Northwestern Department of Rheumatology: This school has able faculty members who are specialists in rheumatic diseases. It can promote better education for fellows with its multi-disciplinary research and innovation. The Northwestern University Department of Rheumatology provides a comprehensive fellowship program including a wide range of benefits which include medical, dental, and life insurance, in-training finance management, wellness, and a whole lot more. Fellows get to have regular educational conferences, extensive research, and clinical experience. Case Western Reserve University: In this academic institution, rheumatology fellows are made to undergo rigorous training related to patient diagnosis involving different diagnostic methods. Their fellowship program is nationally recognized and accredited by the Accreditation Council for Graduate Medical Education. Fellows are also able to improve their research skills and develop compassion, both of which are very essential stepping-stones in attaining success in their field. Over the years, the Case Western Reserve University’s Division of Rheumatology has trained more than 55 rheumatologists who are now involved in different fields and careers over the country. The program is ACGME-accredited with renowned faculty members. Fellows get to have intensive training in research and investigative diagnosticians. The university offers UH Health and Wellness benefits. All fellows also get to have 4 weeks of vacation and 30 days’ sick leave every year. Duke University: This is a private university located in North Carolina. Being a school involved in research, this is one of the best training grounds for fellows. This university is known for its good reputation when it comes to education, research studies, and patient care. They offer a program that will allow fellows to hone their potential in the academic and clinical setting. The Pediatric Rheumatology Fellowship of the Duke University School of Medicine is one of the most popular programs. It is a 3 year program where fellows get to have extensive clinical and research experience. There is one position being offered every year and to date, there are about 4 positions. Boston University: Their center for rheumatology, which was established in 1983, is internationally recognized. In this university, medical education, extensive research, and patient care are unified. They also offer different multidisciplinary programs. Moreover, Boston University houses state-of-the-art facilities and experienced experts in the industry. Boston University’s Rheumatology Fellowship Training Program is comprised of widely recognized rheumatologists. The program aims to train rheumatologist both in research and clinical experience. These include clinical training that is complemented by a formal didactic curriculum, musculoskeletal ultrasound training, and research training. Washington University: Their rheumatology fellowship division, which was established almost forty years ago, is an imperative part of their Internal Medicine Department. They are committed to attain excellence in the field of medical care, research, and education. Washington University is recognized as a leader in the training of rheumatology fellows. Also, they have highly skilled faculty members who are very hands-on when it comes to providing proper training and academic guidance. The Division of Rheumatology provides postdoctoral training in laboratory research, clinical care and research. There are 3 fellowship tracks available. First is a 2-year clinical track for those who want to specialize in clinical rheumatology and 3-year clinical and laboratory research for those who want to be in the academic or investigative career. Cleveland University: It is considered as one of the biggest universities in the country. US News & World Report has ranked this university as the Top 3 among other rheumatology schools. Since it is very large in size, their faculty is composed of numerous members with different specialties in rheumatology. Their program will enable fellows to become admirable professionals when it comes to conducting research, providing diagnosis, and applying treatments. Start your rheumatology training today and enroll in any of the rheumatology fellowships programs of the above-mentioned academic institutions. By doing so, you are undoubtedly assured of quality education and experience. The best rheumatology fellowships in the country are also highly competitive by nature, and having the right experienced experts help with your application can greatly boost your candidacy. Otherwise, you may be forced to either miss a year of your studies in order to improve your application or settle for a program with a lower rheumatology fellowship ranking score. Experience. 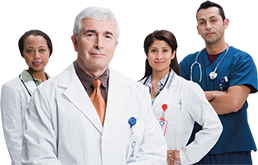 Our experts have worked in the field for many years, and are very familiar with the requirements not only of the NRMP but of each individual program, like some pediatric rheumatology fellowship personal statement. They will be sure to tailor your application to make your strengths shine. Unique and original work. We don’t recycle essays or reuse chunks of text – each essay is crafted to your individual experiences and characteristics to ensure that fellowship programs can see the real you. Narrow specialization. Our team of experts has helped many students just like you gain acceptance into top programs on the rheumatology fellowship programs list. This is because we understand what each program emphasizes, including research or clinical experience. Compliance with deadlines. We work with your schedule on your deadline. Our experts guarantee on-time delivery of services so that you can rest assured that you will be able to submit all materials, written to your satisfaction, by the deadline. Transparency. We are here to answer all your questions. With a dedicated support team and direct access to your personal writer, we will work with you to answer all your applications-related queries and provide you with the best customer service available. Best rheumatology fellowship programs are waiting for you! Let us know if you need any help with your personal statement and letters of recommendation!